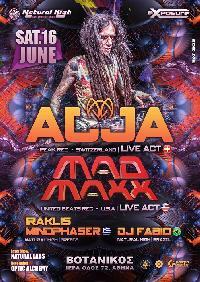 Trance Forum » » Forum Party Promotions - Natural Exposure presents AJJA & MAD MAXX in Athens on Sat 16 June !!! Natural Exposure presents AJJA and MAD MAXX in Athens at Votanikos Live Stage on Saturday 16 of June !! !